Get well flowers are often sent when a friend feels under the weather. Bouquets can go a long way in improving someone’s spirits when sick. These flowers often express best wishes for a speedy recovery time. Arrangements for children often have a vibrant and youthful look. They typically will incorporate fun things to watch or play with. These can be delivered to a sick child at home or in the hospital. Balloons are often one of the first things added to a child’s bouquet. Helium filled balloons may feature a favorite character or shape. Trucks, hearts, stars or animal faces are popular for these balloons. 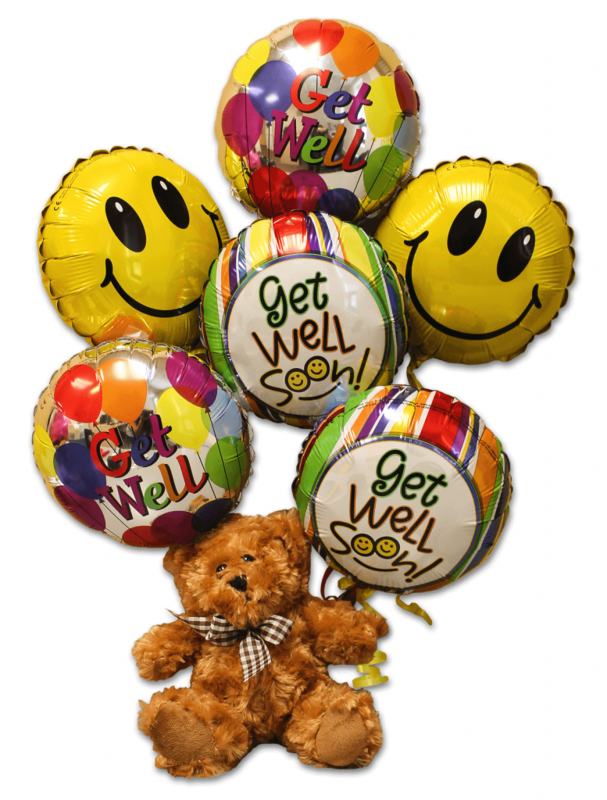 Inflated balloons can be a fun distraction when children feel sick. The balloons can often stay well inflated for up to a week or more. This makes them a long lasting addition to get well flowers for kids. Toys may also be added to give children something to do while sick. A small toy can be attached to give children something to play with. This toy can be a simple car or truck for boys or dolls for girls. Stuffed animals are another popular option for bouquet accessories. Stuffed animals can provide comfort while trying to get better. These are often teddy bears but others may include zoo animals. Yellow is a top color when creating a best wishes floral arrangement. Yellow is often chosen because it appears bright, sunny and fun. This color is used to help raise the spirits and can improve the mood. Yellow daisies, sunflowers or mums can be added to the arrangement. Seasonal yellow blooms may also be chosen to create the bouquet. Yellow roses are another top choice for arrangements for sick friends. For bigger impact, multiple colors may be chosen for the blooms. A rainbow of colors can be created to cheer someone up while sick. These may include greens, blues, pinks and orange colored blooms. These multi-color bouquets can add a much needed splash of color. Coordinating ribbons can be tied on to make the bloom color pop. A card or printed message can often be added to make it more personal. Sending blooms from anywhere is possible with floral delivery service. This can be useful when a friend who lives far away becomes unwell. 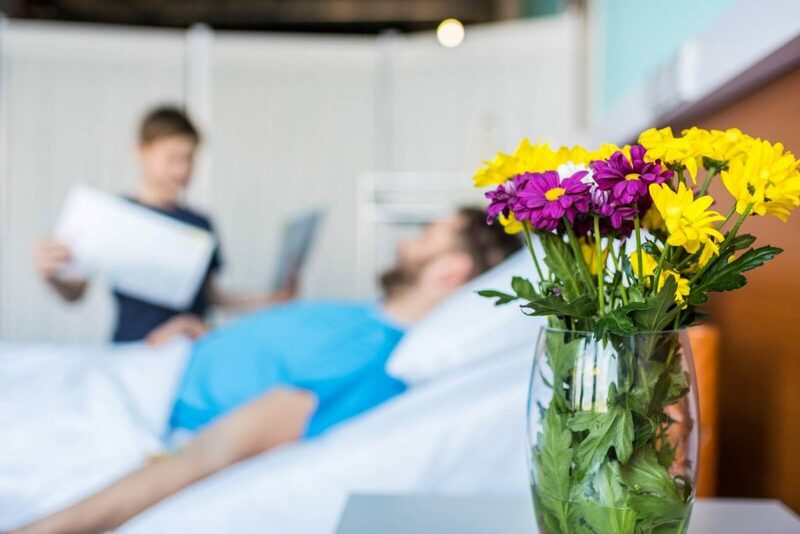 Bouquets can be delivered to a hospital or to their home or work. There are many everyday arrangements that can be sent on the same day. These services make it possible to send a bouquet to friends quickly. Rapid delivery is often used when a friend has had a sudden injury. Getting a flower bouquet right away can often help pick up spirits. It can also show friends that they are cared for and thought of. This is often more meaningful when sick or recovering from accidents. Delivery services can also be used to send floral bouquets locally. To see what types of arrangements are available, check the website. There are a number of arrangements suitable for get well flowers.